AVI (Audio Video Interleave) is one of the most common video files formats, which was first introduced by Microsoft in 1992. 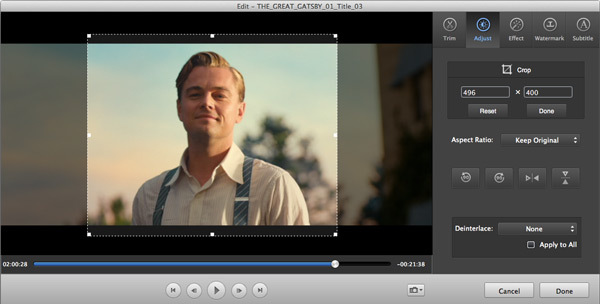 AVI video files are often of great quality with a relatively large video size. As a popular video format, AVI is recognized by many portable media players, online video websites, video editing tools, etc. Scratching your head converting DVD to AVI on Mac either for backup or convenient playback/share? 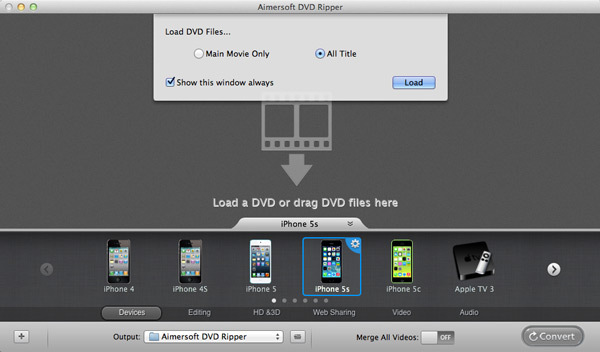 Here is a good option: get a professional DVD converter and rip DVD to AVI on Mac with ease. After the conversion, you can surely play your movies on portable devices like Archos, iRiver, PMP, etc., share them on YouTube and more to have fun. A regular DVD usually contains several subtitles and audio tracks. The detailed info of your DVD movie is showed in the file list. Just click to select the subtitles and audio soundtracks you need. 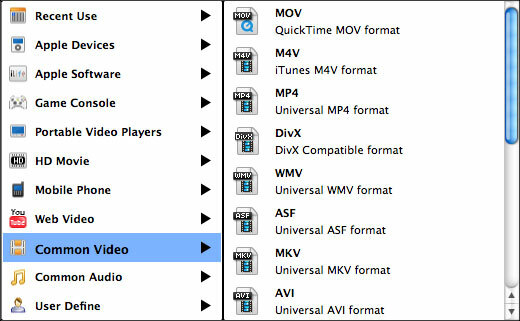 This DVD to AVI ripper for Mac provides a video editor that lets you personalize and touch up your videos in clicks. Click the Edit button to open the video editing window as below. And then you can crop to adjust video frame size, trim to get the part you want, rotate the videos to get the right position, add watermarks for copyright protection, adjust video effects for a better visual effect, etc. Next, click the thumbnails of the media formats on the right to open the format list. You can then choose AVI from the format drop-down list as the output file format. You can then personalize the output video by setting the video/audio parameters like resolution, frame rate, audio quality, bit rate, etc. After all the settings, click the Convert button to convert DVD files to AVI on your Mac. Minutes later, you'll get the converted high quality AVI videos. Just enjoy them and have fun.